Dayes spent his brief time with the 49ers on special teams, failing to earn a carry or target in the 2018 season. Analysis: Dayes was promoted from the practice squad in the second half of the season, but his fellow practice-squad mate Jeff Wilson was the one to gain some playing time late in the year. The 24-year-old is still under contract for the 2019 season, but with both Raheem Mostert (forearm) and Jeff Wilson (shoulder) apparently ahead of Dayes on the depth chart behind Jerick McKinnon (knee) and Matt Breida (ankle), the second-year back will have to shine in camp to hang on to a roster spot. Dayes did not record a touch in Sunday's 27-9 loss to Tampa Bay. Analysis: Dayes was recently promoted from the practice squad along with fellow running back Jeff Wilson, but it was the latter who occupied Alfred Morris' (healthy scratch) backup role behind Matt Breida. There isn't much to see here from a fantasy perspective so long as Dayes remains third on the depth chart. 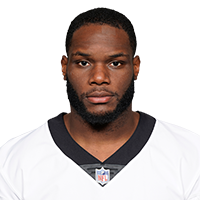 Dayes has a chance to serve as Matt Breida's backup at running back for Sunday's Week 12 tilt against the Buccaneers with veteran Alfred Morris (coach's decision) inactive. Analysis: The 2017 seventh-round pick has only logged one offensive snap this season, which came in Week 10 against the Giants. Dayes also saw limited action during his rookie campaign, carrying five times for 13 yards and bringing in four of five targets for another 29. The second-year back logged double-digit touchdowns in each of his last two college seasons at North Carolina State, and at a stout 5-foot-9, 205 pounds, he could see some goal-line work. Dayes was promoted to the 49ers' active roster Monday, Adam Schefter of ESPN reports. Analysis: Dayes was elevated just ahead of Monday's tilt against the Giants. He'll figure to take the spot of Raheem Mostert (forearm), who was moved to IR last week. Look for Dayes to operate as the No. 3 option at running back behind Matt Breida and Alfred Morris. Dayes signed with the 49ers' practice squad Tuesday. Analysis: The 2017 seventh-round pick by the Browns was waived by the team Sept. 2. Dayes appeared in all 16 games for the Browns last season and had five carries for 13 yards while adding four receptions for 29 yards. He was also active on both sides of the ball on special teams, registering 18 kickoff returns for 437 yards (24.3 average) and eight tackles. Dayes rushed eight times for 77 yards and one touchdown during Thursday's preseason finale against the Lions. He also secured both of his targets for 34 yards. Analysis: The highlight of his night came on a 42-yard scamper in which Dayes carved through the Lions defense and eluded multiple defenders on his way to the end zone. While the second-year runner hadn't done much of anything in Cleveland's previous three preseason games, Thursday's performance could be enough to convince the coaching staff to keep four running backs on the 53-man roster entering Week 1. Dayes -- who was mostly used on special teams -- rushed five times for 13 yards in 2017. Dayes (knee) is active Week 17 against the Steelers. Analysis: Dayes missed the first practice of the week, but returned on a limited basis and will suit up for the regular season finale. His role primarily is on special teams as a kick returner, as Dayes has received just one carry since Week 4 and has carried the ball just five times this season. Dayes is listed as questionable for Sunday's game against the Steelers with a knee injury, Nate Ulrich of the Akron Beacon Journal reports. Analysis: Dayes started the week not practices but was able to string together a pair of limited sessions Thursday and Friday. 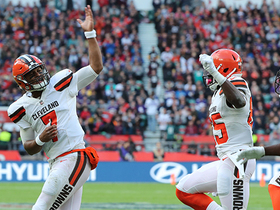 The 22-year-old has had a limited offensive role this season behind Isaiah Crowell and Duke Johnson, which seems unlikely to change in Sunday's season finale. 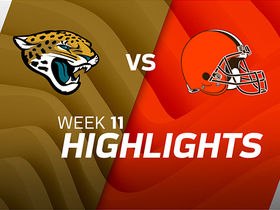 Watch as the Jacksonville Jaguars take on the Cleveland Browns in Week 11. 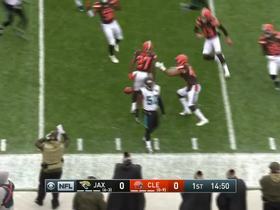 Cleveland Browns running back Matthew Dayes opens the game with a big return into Jaguars territory off the Josh Lambo kick. 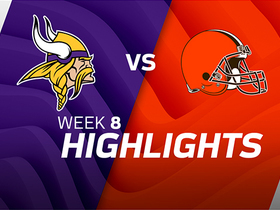 Cleveland Browns running back Matthew Dayes evades defenders, returns kickoff for 71 yards vs. the Minnesota Vikings in Week 8 of the 2017 NFL season.